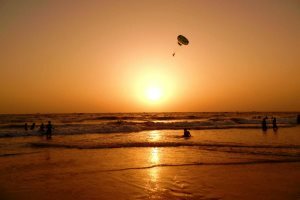 Spend your Goa holiday in the south of the state where you will encounter gorgeous beaches and a delightfully laid-back atmosphere, typical of South Goa. South of the Zuari River lies the southern region of Goa. This is where you’ll discover the quintessential laid-back Goa holiday you’ve been searching for, defined by languid fishing villages, beautiful rice paddies, swaying coconut groves and magnificent beaches. This quiet and less developed area boasts some of the best Goa beaches, wonderful accommodation and an infectious chilled vibe. 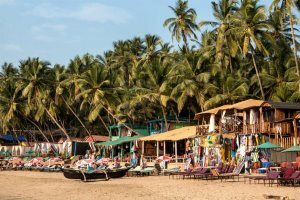 For those hoping to find a little more hustle and bustle, Palolem in the far south presents the perfect balance of natural beauty, languid vibes and a dash of vibrancy in the shape of beach bars, bustling shopping streets and an atmospheric strip of sand. 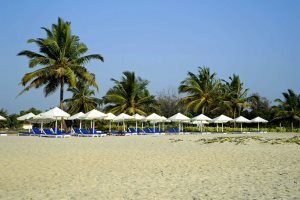 Famed for its stunning beach, the quiet and undeveloped resort of Arossim will prove a hub of rest and relaxation for those on their Goa holidays. 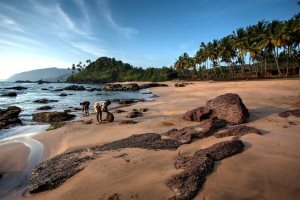 The charming fishing village of Benaulim sits just south of Margao and enjoys a relaxed and laid-back feel surrounded by coconuts palms and rice paddies. 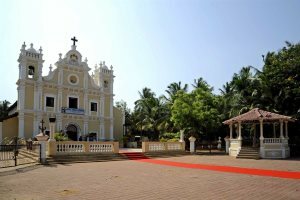 The busiest resort in the south but still maintaining a colourful and laid-back vibe, colonial heritage and a vibrant beach define the resort of Colva. 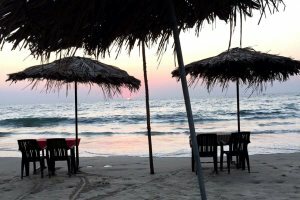 A small, sleepy coastal village with a smattering of inviting eateries, shops and bars, you Goa holiday here will be completed by a gorgeous beach complete with colourful beach shacks. 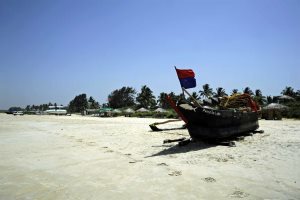 Sandwiched between the Arabian Sea and the Sal River, lies Mobor, a stunning spit of powder white sand backed by coconut groves and a few make shift beach shacks. 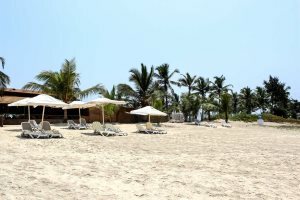 Among the most undeveloped and peaceful beaches in Goa, Cola Beach is set across a private bay in South Goa, home to a boutique tented resort hosting our Maharaja Night. Two gorgeous beaches found tucked down deep in South Goa. Palm-fringed sand and safe swimming water make Palolem and Agonda unmissable. 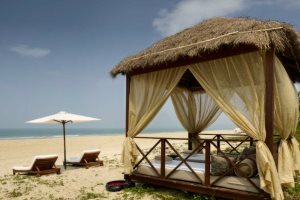 ​A laid-back fishing village with a beautiful beach, a holiday in Majorda offers a quintessentially south Goan experience. Just north of Cavelossim you will find Varca - a stunning stretch of powder white sand and a great choice for a beach-based holiday. Please find below a selection of our accommodation in South Goa.